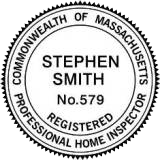 Top Notch Home Inspections inspectors use HomeGauge home inspection reporting system software. Completed reports are available to our customers on the internet as soon as the report is completed and uploaded to the server. Making it simple to access and share your report with anyone that has internet access, by giving them your user name and password they can login by coming to GET REPORT page. To view and/or print your report from the internet all that is needed is your web browser. There is no plug-in required or any other kind of reader needed. You will be emailed a link with a user name and password which will give you access to your report. The email you receive will contain a link to this page along with your user name and password and will not have any attachments. This means you do not need to download large email attachments or worry about email viruses . Once the report is completed and you have received your user name and password enter them in the spaces below and click on the sign in tab, make sure you enter them exactly as they appear If you have any problems accessing your report please call or email us for assistance.